How do I get my Stencil receipts sent to me when my credit card is charged? The very first receipt upon upgrade will always be sent to you automatically. In Stencil go to My Account > Settings > Payment / Billing and click on "View your billing history". This will open a window that shows all of your billing information, including receipts and upcoming bills. Click on the "Receipt Settings" in the bottom left of this window, and a screen will appear where you can enable sending receipt notifications. 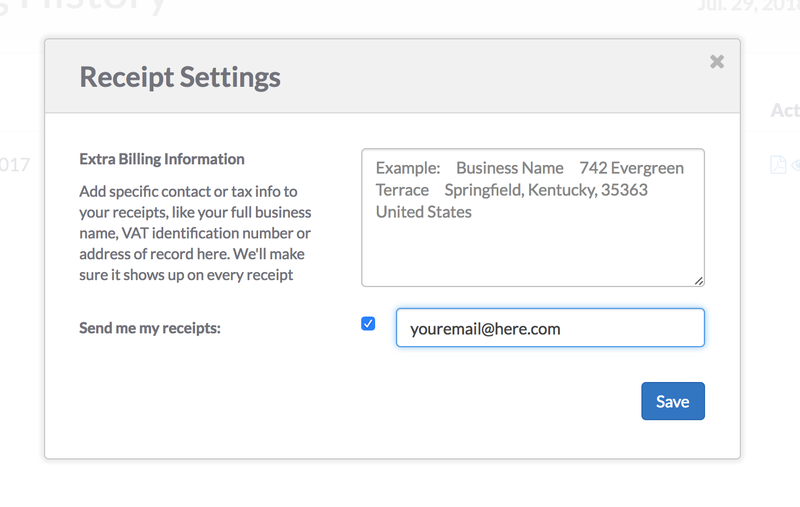 Check the box beside "Send me my receipts" and enter the email address you'd like your receipts to be sent to when the charges occur.